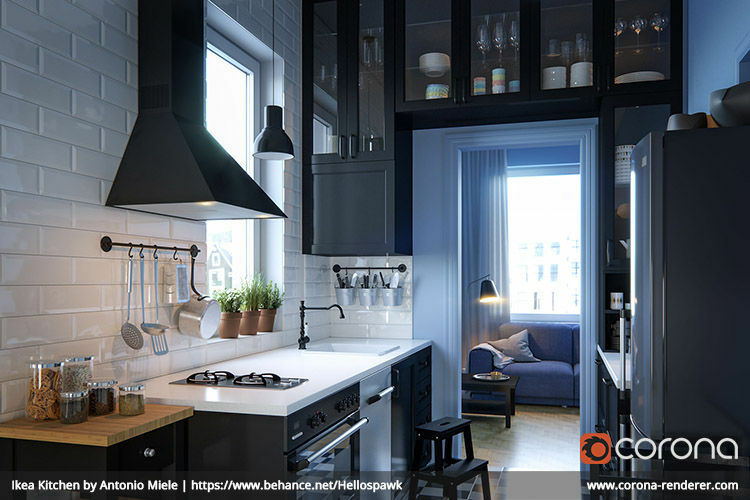 Corona Renderer v1 brings significant speedups in many situations. Speed is an important factor in any production environment, and a renderer must always deliver results as fast as possible. As a result, we are obsessed with speed! We like to hunt for milliseconds in our own code, and are always looking for ways to cut down parsing and rendering times without forcing users to buy expensive hardware, by focusing on creating smart algorithms under the hood. In every version we release, we look to boost the speed of rendering as much as possible as well as adding new features. The denoising feature analyzes noise in the 3D space, so is not just a 2D post–process. You can use it to reduce the number of passes needed to get a noise–free image, with render time reductions of 50 to 70% reported to us by third parties in commercial usage (not in carefully crafted test scenes!). It will also remove fireflies (hot pixels) from an image, and can be used only in that mode if required. Denoising is seamlessly integrated into the core as a one–click solution. The denoising level can be interactively adjusted in the VFB after rendering is complete, so that you are not locked in to the level set in the rendering options. This lets you check and adjust the blending between the regular and the denoised image without having to re–render. You can also calculate Denoising in the Corona Image Editor rather than at render time and without the overhead of working in a 3D application. 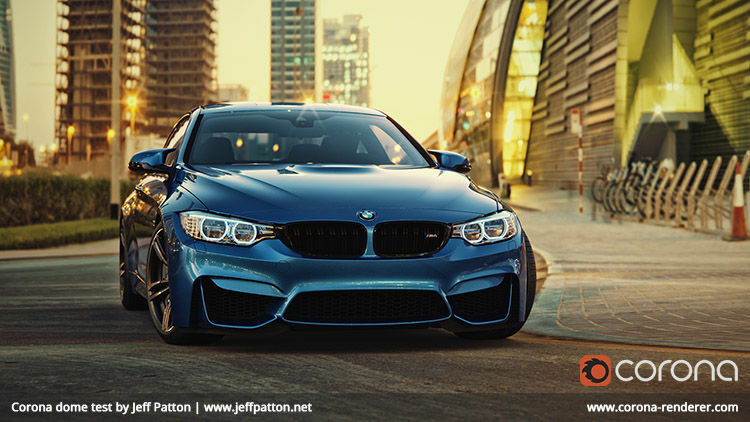 Corona Renderer aims to make you faster as well as your renders, with a workflow that is second–to–none. Thanks to its fully–featured Interactive Rendering, Corona Renderer brings you all the same advantages as a GPU render engine but without any of the drawbacks and limitations. You can change materials, lights, and create or adjust geometry and see your interactive render respond almost immediately. It runs completely on the CPU, so it has no limitations and won’t care what graphics card you have installed. You aren’t limited to using it only for interactive rendering however – you can also use the GPU denoiser for final renders too if you choose. Note that this denoiser requires a compatible NVIDIA graphics card. Standard denoising uses the CPU only so can be used with any graphics card. Our interactive rendering is an integral part of the Corona core and shares over 99.9% of the regular renderer code. This means that all features of Corona Renderer are supported, and that the results are exactly the same as your final render – you can render motion blur, DOF, create proxies, scatter systems and more, all with instant feedback. 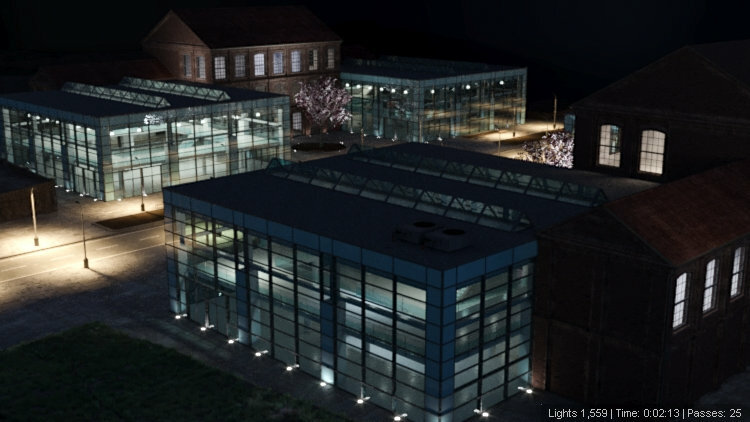 Because our interactive and regular renderer are almost identical, all types of geometry and proxies are supported, as are almost all 3ds Max maps and third party maps. Even advanced third party plugins, such as Itoo Forest Pack, hair and fur from Ornatrix and Hair Farm, simulations from Phoenix FD and FumeFX are supported. You can find a full list of supported plugins in the Resources section. Core V–Ray Lights and Materials will also work in Interactive Rendering, even if V–Ray is not installed. Check out which V–Ray features are supported – and support will be growing in the future. Interactive Rendering also offers as many render regions as you like, which can be moved and resized as you choose. This means that so that they can act as a “sample brush”, letting you paint–in areas which you want to refine faster or inspect at better quality. If you want to know more about the differences between CPU and GPU solutions, you can see here why we are proudly CPU based. 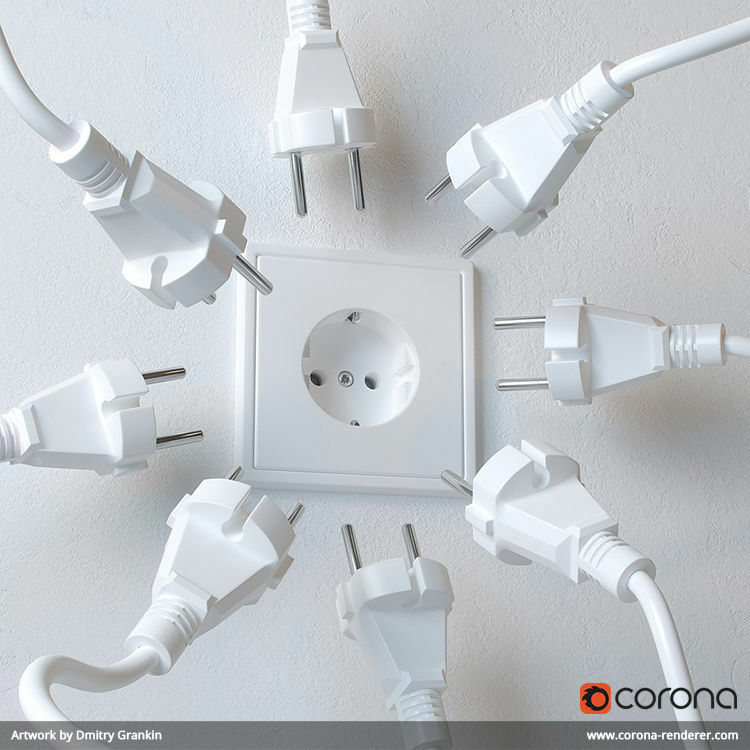 Corona handles scenes with many lights without problems and with no penalty to render time, so that you don’t have to worry about trying to optimize your scene. This balances out the rendering calculations over the image to focus more processing power on tricky areas like shadows. By keeping noise more evenly distributed, this gives a usable image more quickly, and also allows Denoising to work its magic.